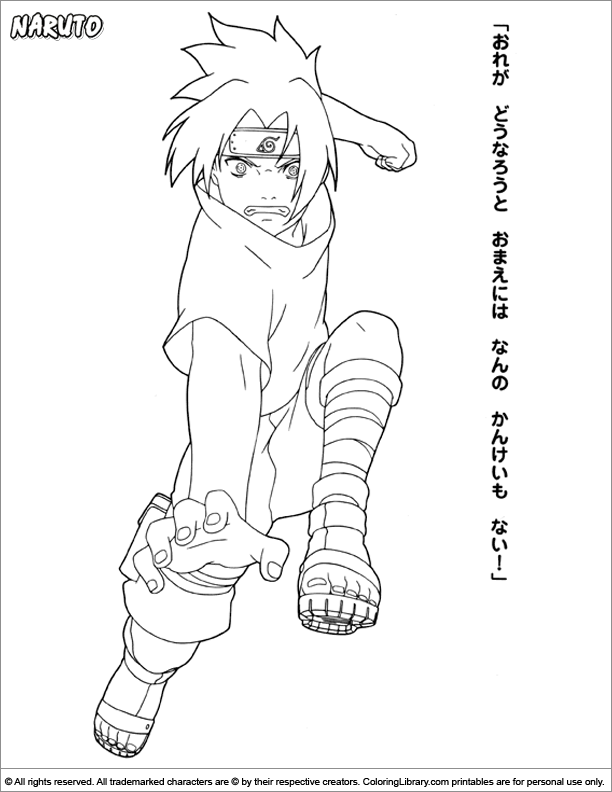 Together with your kids you can color this Naruto coloring picture, they'll have so much fun! Have a coloring adventure with all the Naruto in the library. Print them all.